Jonathan Holloway became Provost of Northwestern University on August 1, 2017. Prior to joining Northwestern, he was the Dean of Yale College and Edmund S. Morgan Professor of African American Studies, History, and American Studies at Yale University. Full bio. Lara Beise is the Executive Assistant to the Provost of Northwestern University. 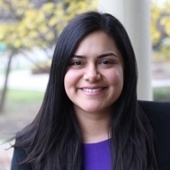 She came to Northwestern in August 2017 from Yale University, where she was the Executive Assistant to the Dean and Deputy Dean of Yale College. Full bio. Lindsay Chase-Lansdale assumed the role of Vice Provost for Academics on December 1, 2017. She also serves as Co-Associate Provost for Faculty, initially joining the Office of the Provost as the Associate Provost for Faculty on September 1, 2013. Full bio. Kathleen M. Hagerty joined the Office of the Provost as Co-Associate Provost for Faculty in July 2018. She is also currently serving as Interim Dean of the Kellogg School of Management. Full bio. Jake Julia was appointed Vice Provost for Administration and Chief of Staff on December 1, 2017. Full bio. Sean provides leadership for the continued development of an innovative, robust, and secure information technology environment throughout the University. Full bio. Joseph (Jay) Walsh has been the Vice President for Research at Northwestern since 2007. Full bio. As the University’s chief diversity officer, Dr. Bennett is responsible for leading and coordinating efforts to create a diverse, inclusive and welcoming environment for all Northwestern community members. Full bio. 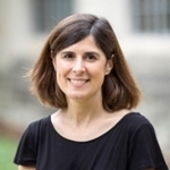 As Associate Provost for Strategy and Policy, Andrea is responsible for overseeing a wide range of academic and administrative areas including policy coordination, accreditation, senior searches, and analytic projects for the Office of the Provost. Full bio. Marianna Kepka joined the Office of the Provost in August 2008 after working for a higher education consulting company. Full bio. Alicia Löffler was named Associate Provost for Innovation and New Ventures in April, 2014, while still retaining her position as Associate Vice President of Research. Full bio. 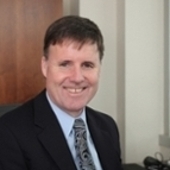 Michael Mills has been Associate Provost for University Enrollment at Northwestern University since July 2005. Full bio. Miriam Gamoran Sherin assumed the role of Associate Provost for Undergraduate Education September 1, 2018. 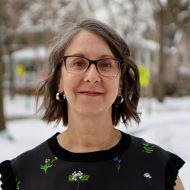 Sherin joined the Northwestern faculty in 1997 and has served in a number of leadership roles during her more than 20 years with the School of Education and Social Policy including Director of Undergraduate Education and Associate Dean for Teacher Education. Full bio. 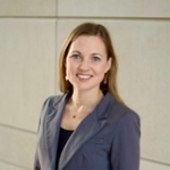 Sarah K. Wake joined Northwestern University's Office of General Counsel in 2017 and is currently Associate General Counsel and Associate Vice President for Equity. Full bio. Teresa K. Woodruff was appointed as the Associate Provost for Graduate Education in September 2017. Teresa also serves as the Thomas J. Watkins Professor of Obstetrics and Gynecology and Co-Director of the Women's Health Research Institute at Northwestern University Feinberg School of Medicine. Full bio. Celina Flowers joined the Office of the Provost in December 2008. Full bio. Bennett Goldberg joined the Office of the Provost in the summer of 2016. Bennett currently serves as the Director of the Searle Center for Advancing Learning and Teaching, Assistant Provost for Learning and Teaching, and Professor of Physics and Astronomy. Full bio. 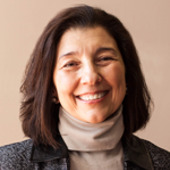 Dr. Mónica Russel y Rodríguez joined the Provost’s Office of Institutional Diversity and Inclusion in October 2018 after serving for nine years as Associate Dean at Northwestern’s Weinberg College of Arts and Sciences. Full bio. 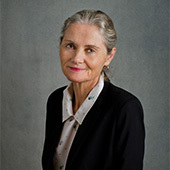 Lorraine joined the Office of the Provost in March 2018. Prior to joining the Office, Lorraine has served in other roles at Northwestern since 2010. Full bio. Zenani joined the Office of the Provost in June 2018. 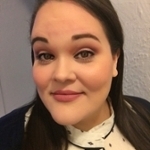 She helps provide support and coordination for Associate Provost Jabbar R. Bennet, PhD, in the Office of Institutional Diversity & Inclusion (OIDI), as well as other OIDI staff members. Full bio. Jasmine joined the Office of the Provost in September 2017. 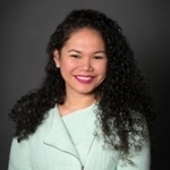 Jasmine previousy served as the Assistant Director - Native American Content Expert for Multicultural Student Affairs and Undergraduate Admission at Northwestern. Full bio. Samantha joined the Office of the Provost in January 2018. Full bio. Joan Marie Johnson joined the Office of the Provost in December, 2015. Full bio. 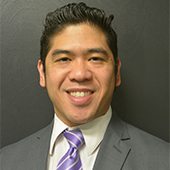 Louie joined the Office of the Provost in December 2018 and serves as the Manager of Diversity and Inclusion in the Office of Institutional Diversity and Inclusion. Full bio. Nicole joined the Office of the Provost as the Coordinator for Faculty Information in October, 2017. Full bio. Dan Pattley joined the Office of the Provost in November, 2015. Full bio. 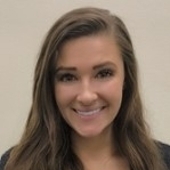 Kari Roever is an Administrative Assistant for the Northwestern Emeriti Organization. Kari provides support to Emeriti Faculty for a variety of events and new initiatives. Full bio. 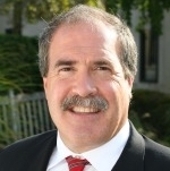 Alex Rot is the Senior Director of Faculty Operations within the Office of the Provost at Northwestern University. Full bio. Lee West joined the Office of the Provost in December 2016. Prior to Lee's arrival at Northwestern, she was a Senior Associate Director for Stanford Introductory Studies. Full Bio.